The Dr.UGraft™ team traveled to Beijing, China to attend the joint Asian Association of Hair Restoration Surgeons (AAHRS) and Chinese Association of Hair Restoration Surgeons (CAHRS) meeting on May 10-13, 2018. This meeting marks the 6th and 3rd annual meeting of the AAHRS and CAHRS, respectively. The team was excited to present Dr.UGraft hair transplant in Beijing along with other exhibitors. On display were the Dr.UGraft™ Revolution Console, with fluid tubing for graft hydration seen below. 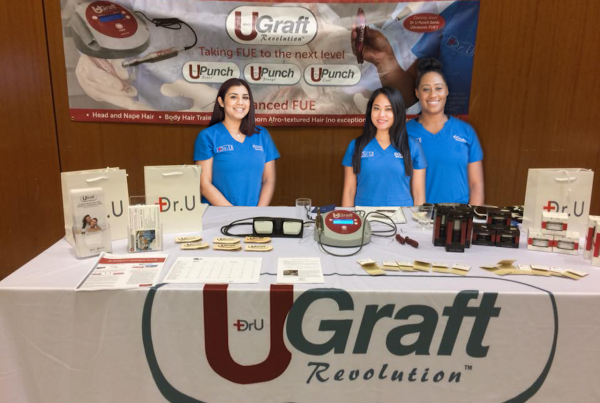 Also on display were the Dr.UGraft Nurture Handpiece, for use with the Intelligent Punch™ (Dr.UPunch i™) and the non-rotary Dr.UPunch Curl™ Plunger, for use with the manual Dr.UPunch Curl™ (afro-textured hair) and Dr.UPunch Stealth™ (unshaven FUE). A certification of appreciation awarded to FineTouch Dermatology, the original Dr.UGraft™ clinic. The Intelligent Punch™ (Dr.UPunch i™) drew many visitors to the booth. Interested in its capabilities, doctors were surprised to learn that the uniquely flared tip of the punch maintained a constant diameter. 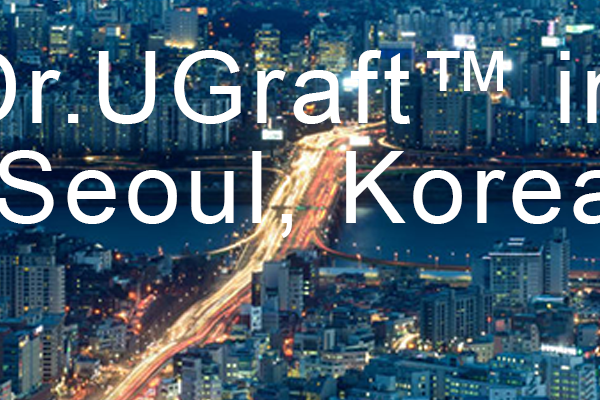 They were also interested in the graft rescue mechanism of the Dr.UGraft™ System, which, due to the attached foot pedal and integrated fluid system, is a hands-free feature. The ability of the Intelligent Punch™ (Dr.UPunch i™) to extract hair from all hair locations was particularly interesting to doctors keen on eyebrow and eyelash transplantation. Traditional FUE methods of such procedures use the head donor area on the back of the head, which can create harsh looking results, in addition to requiring frequent trimming and maintenance. The Intelligent Punch™, however, enables the use of finer body hairs for these procedures, such as nape and leg hair for eyelash transplant. Invitation to publish results on Dr.UGraft Patient Cases. Access to the uGraft Hair Transplant Graft Calculator. We encourage interested hair restoration surgeons, dermatologists, and other physicians interested in hair transplant are to register for the 2018 Los Angeles Hair Transplant Training Workshop. Formerly called Advanced FUE Los Angeles (AFLA), this workshop in the heart of Los Angeles will focus on combining cutting-edge research and practical information. Due to popular demand, this three-day workshop will also feature hands-on training with cadavers. To receive updates and more information about this workshop, sign up for our newsletter. 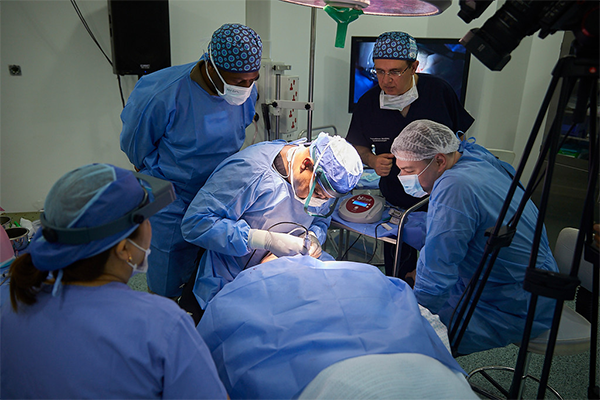 See what Dr.UGraft was up to in Malaga, Spain. Learn how Dr.UGraft helps prevent bump and cyst formation due to ingrown hairs after a hair transplant.